Suehiro whetstone is the best size whetstone for Higonokami. You can keep your Higonokami sharpness by using whetstone regularly. We deal with Suehiro Whetstone directly. So our Suehiro Whetstone is 100% real. 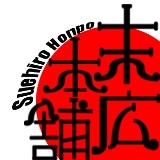 Get Suehiro Whetstone SKG27 on this Higonokami Online Store and using your Higonokami forever! Suehiro-Toishi is one of the most famous sharpening stone maker in Japan. SKG SERIES is a high quarity sharpening stone for home use and is a popular item all of the world. Our Suehiro-Toishi is 100% REAL because we do business with Suehiro-Toishi directly. So please purchase it in peace. Our Suehiro Whetstone is 100% real because we deal with Suehiro Whetstone directly.